Azure Functions is a serverless compute service that enables you to run code on-demand without having to explicitly provision or manage infrastructure. Use Azure Functions to run a script or piece of code in response to a variety of events. 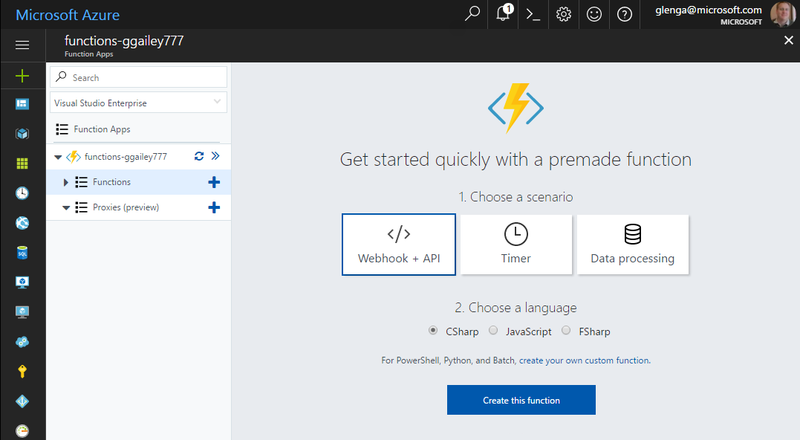 Learn how to use Azure Functions with our quickstarts, tutorials, and samples.